Director SCERT, S.Sukhdev Singh Kahlon a well known name in the sphere of Education assumes the charge of DPI(S). 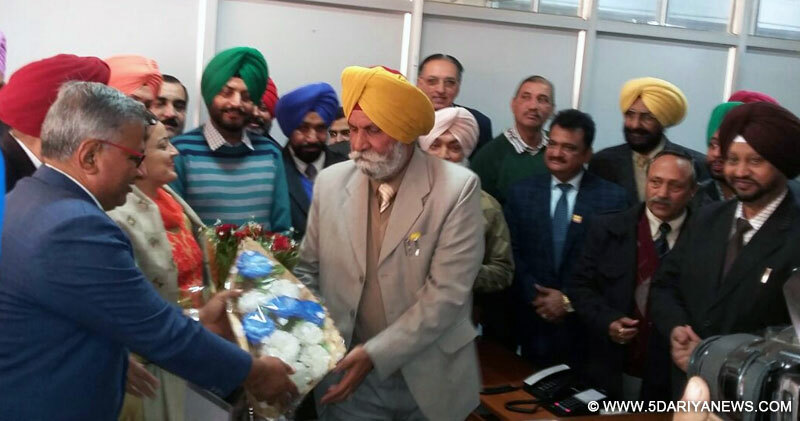 In keeping with the instructions and the guidance of Education Minister Punjab, Dr. Daljeet Singh Cheema, S. Sukhdev Singh took over the additional charge of DPI(S) in Mohali today. Born in a family of freedom fighters to S.Gurbachan Singh in District Gurdaspur at Fatehgarh Churian, S. Sukhdev Singh did his M.A in English and Political Science and M.ED(Gold Medallist). He has been honoured with the State Award in 2003 and National award in 2007 for his endeavours and a futuristic vision for the development and betterment of Education for the students of Punjab. Sukhdev Singh while talking to media expressed his thanks to the Chief Minister Punjab, S. Parkash Singh Badal, Deputy Chief Minister ,S.Sukhbir Singh Badal and the Education Minister Punjab,Dr. Daljeet Singh Cheema for showing a faith in his abilities and giving him an opportunity to deliver his maximum in the field of education. He said that he would leave no stone unturned in augmenting and providing quality education to the students of Punjab. Shri Janak Raj Mehrok,ho Secretary, Punjab School Education Board while expressing his heart felt congratulations ensured full cooperation in his endeavours.Educationists and organizations attached with Education Department expressed their happiness and praised and welcomed the decision of the Government of Punjab for choosing an eminent educationist for the job. Gurpreet Kaur Dhaliwal, Dr. Ginni Duggal, S. Maninder Singh Sarkaria, Mrs. Pawaninder Kaur, S. Jagtar Singh Kularia, S. Sher Singh, S. Harpreet Inder Sing Khalsa, Shri Subash Mahajan, Mrs. Nalini Sharma, S. Baljinder Singh were among the various dignitaries and officials from the field of education present to grace the occasion.